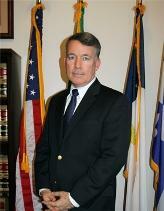 John is the former elected District Attorney of San Benito County, California. While District Attorney, John personally reviewed thousands of criminal cases as well as conducted complex criminal grand jury investigations. John also reviewed allegations of police and government misconduct, as well as all peace officer involved shootings. In addition to his criminal law work, John successfully sought a civil preliminary injunction against the members of the county Board of Supervisors for their violations of state law. After leaving the District Attorney's office in 2007, John was appointed by former Governor Arnold Schwarzenegger to the position of Special Assistant Inspector General, for the Office of the Inspector General, State of California. In that role, John provided oversight and monitoring of high-profile employment, criminal, internal affairs, and civil-rights related matters arising out of the California Department of Corrections and Rehabilitation. John is an adjunct professor at the University of San Francisco, lecturing on the topics of employment and constitutional law, amongst others. He has served in this position for fifteen years. Prior to being elected to the position of the District Attorney of San Bento County, John served as a deputy district attorney for the County of Monterey, in the Office of the District Attorney. In that position, he conducted numerous jury trials, handling every type of case from simple misdemeanors to multiple-victim murders. John was also a Special Assistant United States Attorney (federal prosecutor) for the Northern District of California where he prosecuted criminal cases in federal court. John is a veteran of the US Army, having served in both the Military Police Corps as well as the Judge Advocate General's Corps. In addition to his criminal law experience, John drafted and successfully lobbied for the passage of several state laws, as well as a state Constitutional Amendment, all of which were enacted into law by the voters or the Legislature. John received the prestigious James Madison Freedom of Information Award in 2007 from the Society for Professional Journalists (Northern California Chapter) for his work in enforcing open government laws at the county level. In addition to excelling in the practice of law, John distinguished himself as a full-time peace officer with the State of California, as well as a reserve police officer with the City of Palo Alto, and the Town of Los Gatos. John is a graduate of Santa Clara University School of Law.